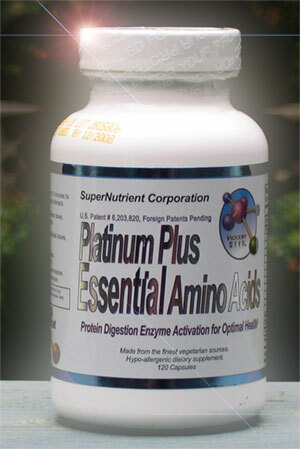 PLAA placed daily in your pet’s food gives their system a very particular blend of essential amino acids. This blend, fortified with extra sulfur, gives the pancreas everything it needs to manyufacture adequate amounts of digestive enzymes. Symptoms such as dull coat, itching, allergies and sore joints begin to disappear as systemic protein becomes available to your dog’s system for maintenance, repair, and protection from infection. While PLAA cannot cure cancer, clinical statistics prove it may well prevent it. It will help boost a pet with cancer’s immune system and make them more comfortable. Giving your pet PLAA will also help prevent them from getting cancer, especially adrenal cancer. Small pets such as mice and hamsters need only 1/3 capsule daily. Small and medium dogs, cats and ferrets need only 1 capsule/ day. Large dogs need 1–2 capsules/day and very large dogs may need up to 4/day. Platinum Plus will help your younger pet stay healthy and vibrant and your older pet live out his life in comfort.